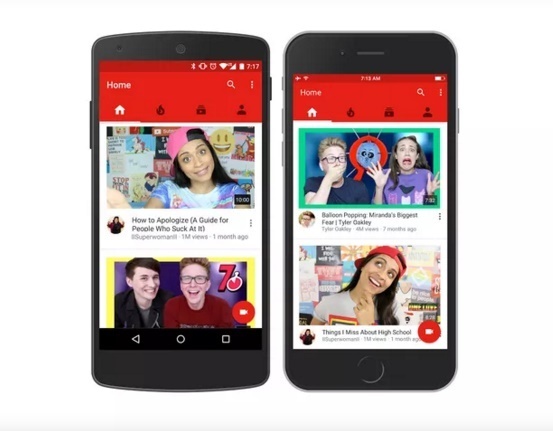 YouTube has ameliorated its iOS and Android Apps by adding an improved Home Tab. It has also leveraged the new video suggestions feature. So the app will now suggest more recent videos especially from the channel that you watch the most. As Google says, the new apps is designed by deep neural networks that are capable of finding patterns automatically and keep learning, adapting and improving with time. “One of the biggest improvements is how the system suggests more recent videos and those from the creators you love,” wrote YouTube product managers Brian Marquardt and Todd Beaupré in a blog post. “People who have tried the new system have spent more time watching fresh videos and content from their subscriptions.” YouTube’s app will now show fewer recommendations, but each one should be more tailored to a user’s interests. This automatic learning ability of the app and then educating itself about the choices of the user is slowly pushing YouTube to nurture Artificial Intelligence. A similar remark has been made by Google CEO Sundar Pichai, that taking a look at Google’s progress in Artificial Intelligence, which include the masterful AlphaGo game-playing system, It’ll be beneficial for Google to compete with its top computing rivals like Amazon and Microsoft.